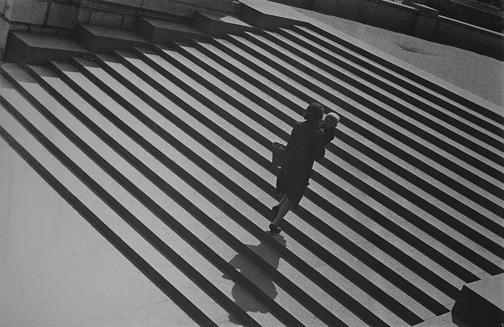 Alexander Rodchenko, Stairs, 1929–30, gelatin silver print. Sepherot Foundation, Vaduz, Liechtenstein. 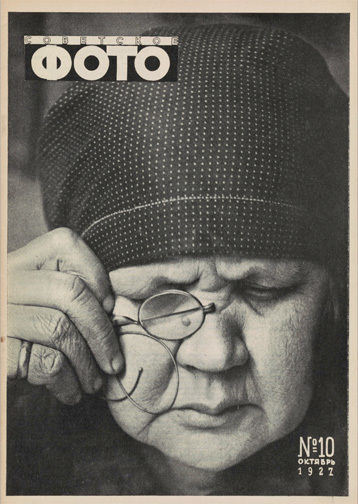 Artwork © Estate of Alexander Rodchenko (A. Rodchenko and V. Stepanova Archive) / RAO, Moscow / VAGA, New York. Image provided by the Sepherot Foundation. 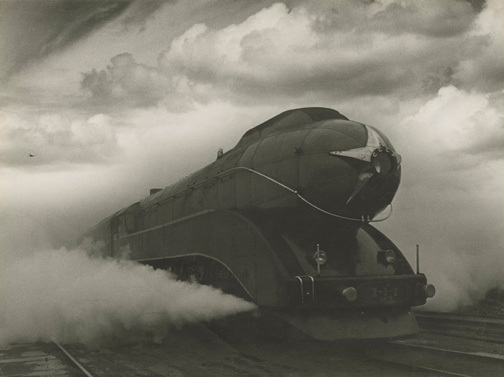 Arkady Shaikhet, Express, 1939, gelatin silver print. Nailya Alexander Gallery, New York. Artwork © Estate of Arkady Shaikhet / courtesy of Nailya Alexander Gallery. 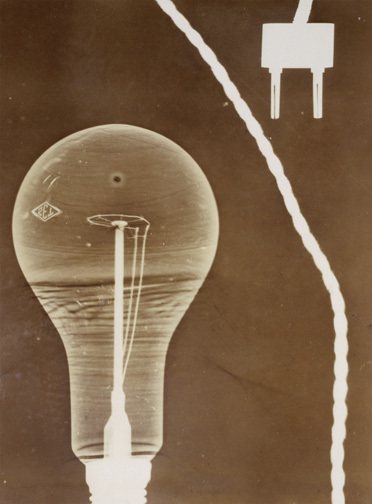 Georgy Zimin, Still Life with Light Bulb, 1928–30, photogram, gelatin silver print. Museum Ludwig, Cologne. Image provided by Rosphoto, State Russian Centre for Museums and Exhibitions of Photography, St. Petersburg. 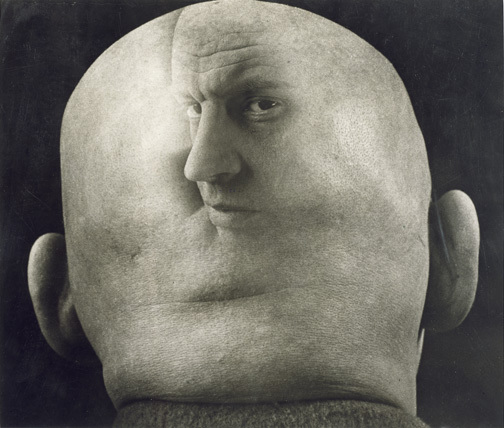 Georgy Petrusov, Caricature of Alexander Rodchenko, 1933–34, gelatin silver print. Collection of Alex Lachmann. Artwork © Georgy Petrusov, courtesy of Alex Lachmann Collection. 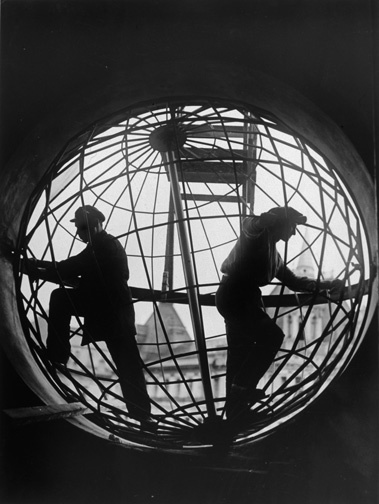 Arkady Shaikhet, Assembling the Globe at Moscow Telegraph Central Station, 1928, gelatin silver print. Collection of Alex Lachmann. Artwork © Estate of Arkady Shaikhet, courtesy of Nailya Alexander Gallery. 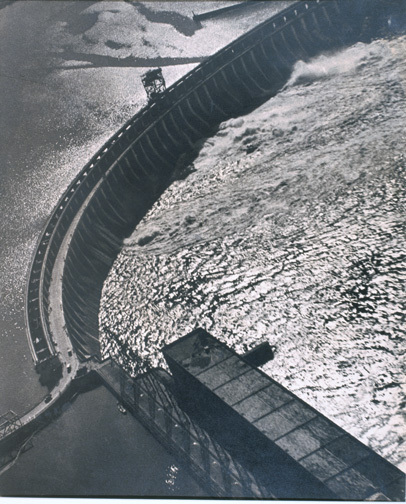 Georgy Petrusov, Dnepr Hydroelectric Dam, 1934–35, gelatin silver print. Collection of Alex Lachmann. Artwork © Georgy Petrusov, courtesy of Alex Lachmann Collection. 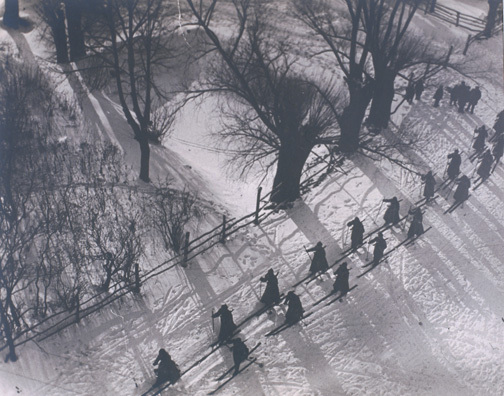 Arkady Shaikhet, Red Army Marching in the Snow, 1927–28, gelatin silver print. Collection of Alex Lachmann. Artwork © Estate of Arkady Shaikhet, courtesy of Nailya Alexander Gallery. 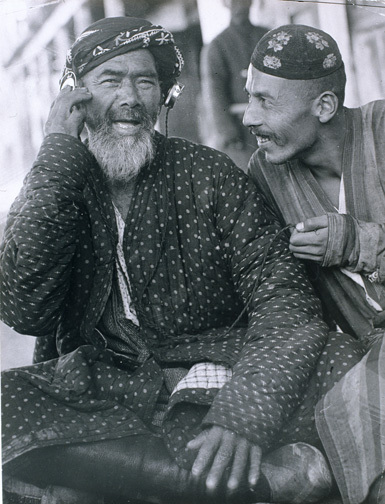 Georgy Zelma, Voice of Moscow, 1925, gelatin silver print. Collection of Alex Lachmann. 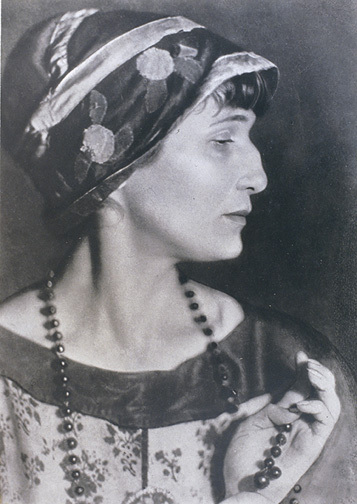 Moisei Nappelbaum, The Poet Anna Akhmatova, 1924, gelatin silver print. Collection of Alex Lachmann. 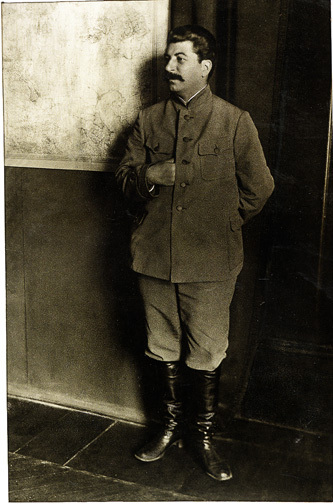 Moisei Nappelbaum, Stalin, ca. 1934, gelatin silver print. Collection of Alex Lachmann. 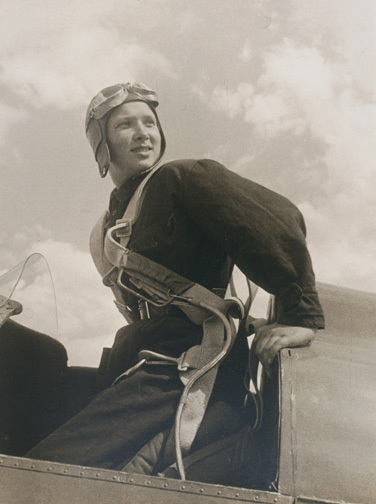 Arkady Shaikhet, The Parachutist Katya Melnikova, 1934, gelatin silver print. Collection of Alex Lachmann. Artwork © Estate of Arkady Shaikhet, courtesy of Nailya Alexander Gallery. Georgy Zelma, Three Generations in Yakutsk, 1929, gelatin silver print. Museum Ludwig, Cologne. Image provided by Rosphoto, State Russian Centre for Museums and Exhibitions of Photography, St. Petersburg. 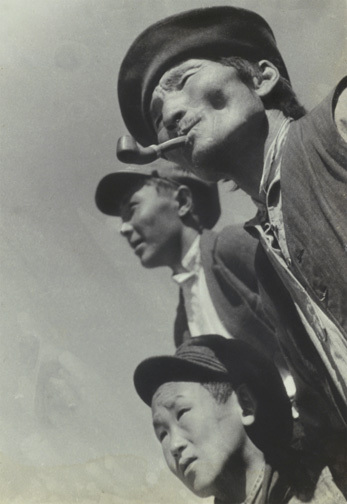 Alexander Rodchenko, Soviet Photo, no. 10, 1927, Mikhail Koltsov and V. Mikulin, editors. New York Public Library, New York. Artwork © Estate of Alexander Rodchenko (A. Rodchenko and V. Stepanova Archive) / RAO, Moscow / VAGA, New York. Image provided by New York Public Library, Astor, Tilden and Lenox Foundations, Rare Books Division. 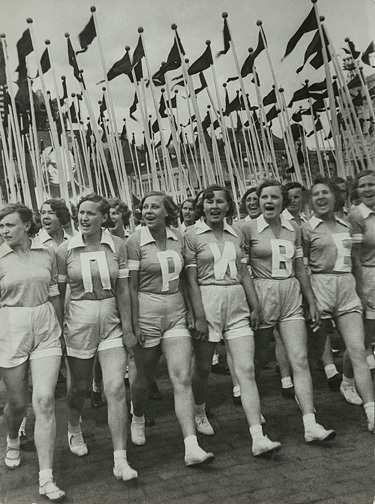 Alexander Rodchenko, Sports Parade on Red Square, 1936, gelatin silver print. Sepherot Foundation, Vaduz, Liechtenstein. Artwork © Estate of Alexander Rodchenko (A. Rodchenko and V. Stepanova Archive) / RAO, Moscow / VAGA, New York. Image provided by the Sepherot Foundation. 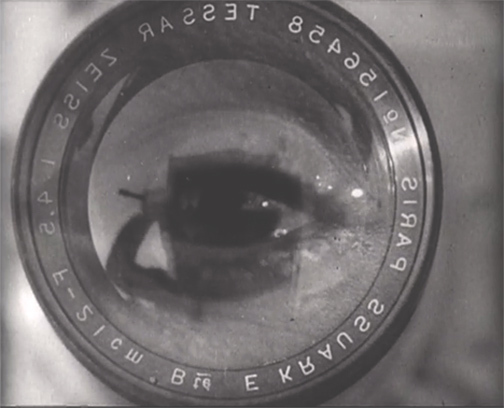 Still from Dziga Vertov, Man with a Movie Camera, 1929, black-and-white film, 68 min. Image provided by Deutsche Kinemathek. 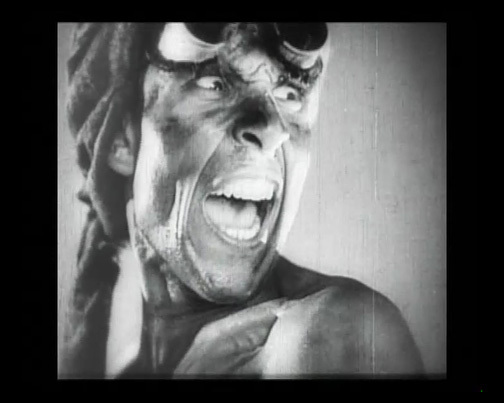 Mikhail Kalatozov, still from Salt for Svanetia, 1930, black-and-white film, 55 min. 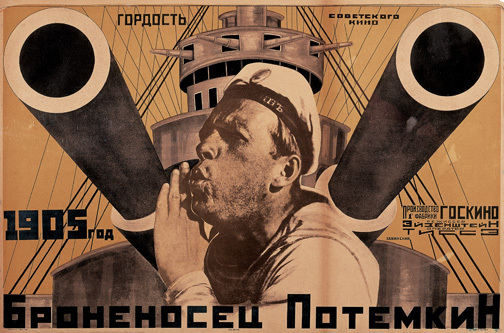 Anton Lavinsky, poster for Battleship Potemkin, 1925, lithograph. Collection of Merrill C. Berman. 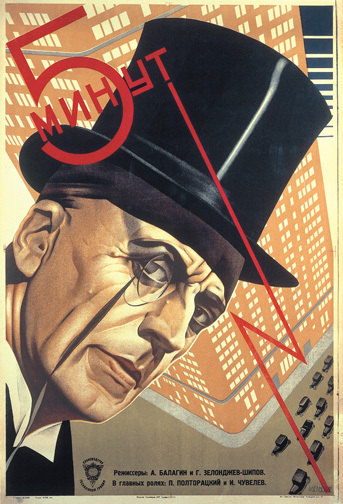 Anatoly Belsky, poster for Five Minutes, directed by Alexander Balagin and Georgy Zelondzhev-Shipov, 1929, lithograph. Collection of Merrill C. Berman. 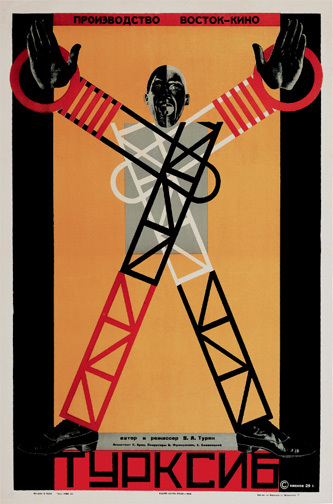 Semyon Semyonov-Menes, poster for Turksib, directed by Viktor Turin, 1929, lithograph. Merrill C. Berman Collection, New York.